A product being made from a gene; can refer to either RNA or protein. When a gene is turned on, cellular machines “express” this by transcribing the DNA into RNA and/or translating the RNA into a chain of amino acids. For example, a “highly expressed” gene will have many RNA copies produced, and its protein product is likely to be abundant in the cell. 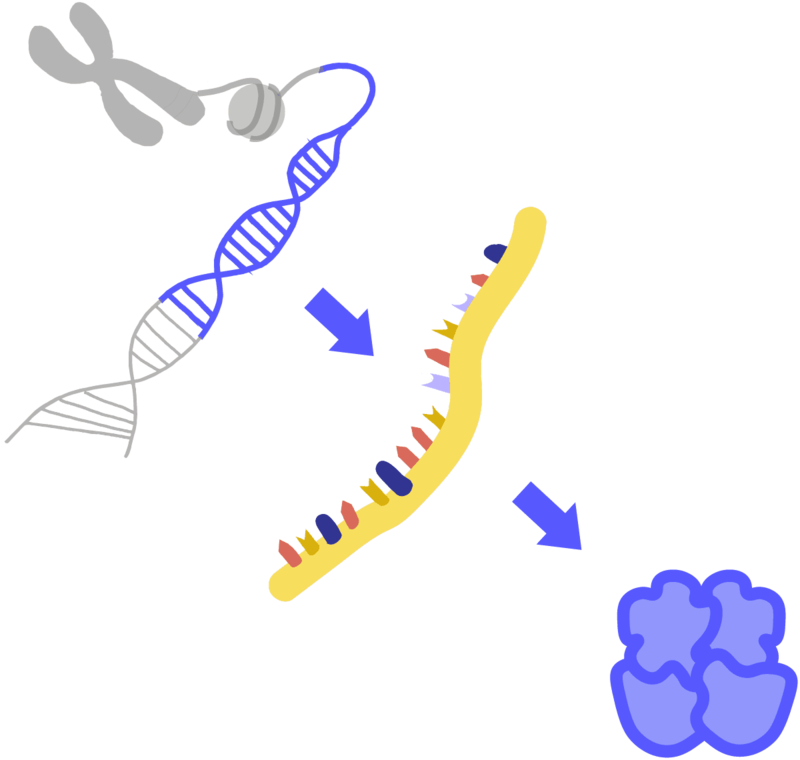 CRISPRi and CRISPRa are methods for turning gene expression down or up, respectively.